Automatically Change the Ringer Mode of Your Phone! 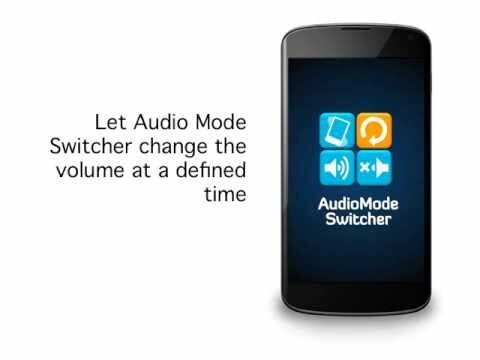 Audio Mode Switcher changes the audio volume of your phone automatically to silent, vibrate or loud. Never be in the embarrassing situation that your phone rings out loud and you don't want it! Never miss an important call again, because you have forgotten to deactivate silent mode! You can define profiles and give the time, when Audio Mode Switcher should change the ringer mode. Furthermore, you can link the app with your calendar and adapt the audio volume according to your events. Last but not least you can use Audio Mode switcher to mute your phone or activate another audio level according to your current position. This feature works with (more accuracy) and without (less power-consumption) enabled GPS.